Aqualuna Condos is the final opportunity to purchase in the world class condominiums being developed by Tridel at Bayside. We had a chance to sit down and interview Jim Ritchie (Executive Vice President, Tridel) ahead of the launch for this exciting new condominium. Roy Bhandari: Welcome everybody. This is Roy Bhandari today at the amazing Bayside Tridel sales office. 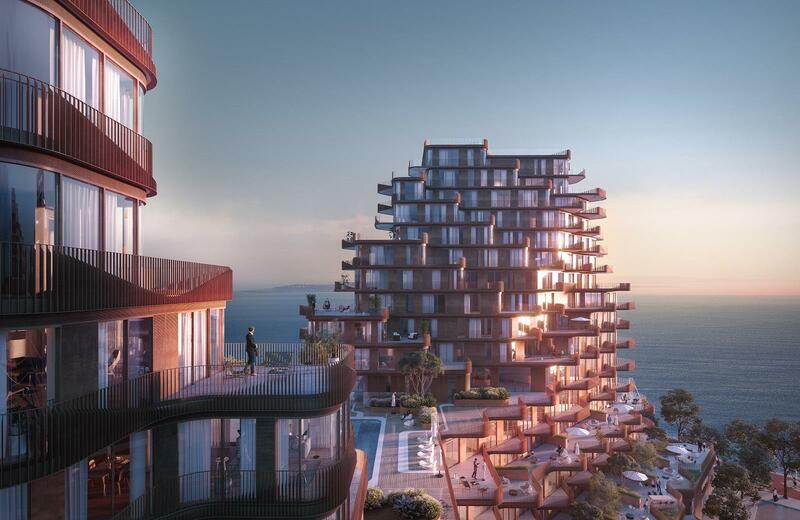 And today we’re joined by Jim Ritchie, the Executive Vice President of Tridel, to talk about a very, very special new condominium project called Aqualuna Condominiums. Roy Bhandari: So Jim, as always, we’re really thankful for your time. I know launch time is crazy, so to carve out some time to chat, we’re very, very grateful. Roy Bhandari: So, there’s a few things we want to talk to you about today. So just to give you a quick overview, we want to talk about Tridel. Tridel have one of the best reputations in the industry and amongst consumers, and in today’s climate it’s more important than ever. So we want to talk to you about that. 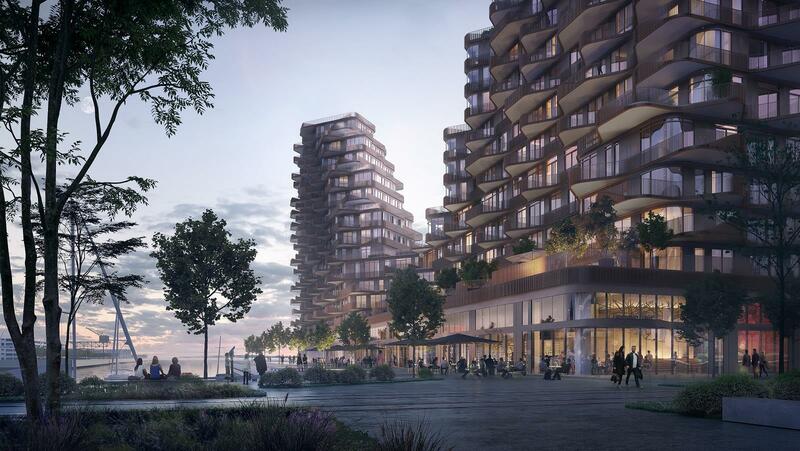 Roy Bhandari: We want to take a look at this neighborhood, which we’ve talked about for a long time as one of our favorite neighborhoods in Toronto. And we’ve watched it blossom into really one of the, it’s become such a great community and great part of the city. 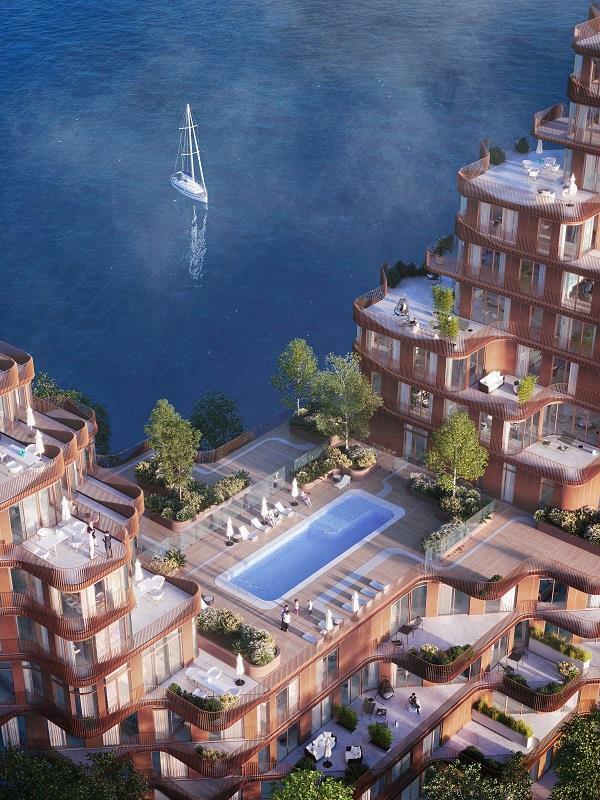 Roy Bhandari: And then we want to focus in on the Bayside, which is where Tridel have been very, very focused. And obviously, talk about Aqualuna, which is such a stunning project. We saw the renderings this past week and they’ve really blown us all away. Roy Bhandari: Just to dive right in. So, Tridel. Been around for a number of years, a number of decades. Jim Ritchie: We’re in our 84th year. Roy Bhandari: Wow. So, again, just to mention what I already said was that in today’s climate where the developer is more important than ever before. It’s always been one of the most important elements of pre-construction condo buying but more than ever before, I think, it’s really come to the fore as being an important piece of the puzzle. Roy Bhandari: Give us a little bit of background on Tridel. Give us the Tridel story and what really sets you apart from the other developers. Jim Ritchie: Well, sure, I’m happy to do that. Well I think first of all, we’ll start off with what we just said. We’ve got a little bit of experience. We’ve been around over eight decades. Originally starting off with single family housing, but in the 60s, transitioned into apartment building and then in the late 60s when this whole realm of condominium became a legal entity of ownership, we were one of the very first to pursue that. In fact, our very first condominium development was in Oakville of all places. So that’s been our focus. Jim Ritchie: Right. Well that’s because we believe there isn’t a single condominium market. The condominium market is made up of many submarkets and depending on the neighborhood that you’re in, there’s different product offerings. So whether it’s downtown with very tall buildings, with lots of density and lots of small suites or you’re in affluent neighborhoods with very large homes with a much smaller, more boutique condominium, if you will. We’ve been in all those markets, so I think we have that experience. We know the buyer. And because of the number of years that we do this specific business we have a pretty good handle on what works, what doesn’t, and how to best serve the customer. Jim Ritchie: So I really believe experience has a lot to do with our success today, but also has to do with our corporate attitude and really we want, this may even sound corny today, but we really want to do the right thing. Jim Ritchie: So, yes, I think it’s smart for a buyer to look carefully at who is going to build their home. There should be a good track record there. You certainly want to be working with somebody that you know will actually develop the community and finish it in the manner that it was promised. So, we’ve got a pretty good track record there, in fact, it’s 100%. Jim Ritchie: Every single community and every single marketplace, every decade we’ve been in business, we have delivered what we’ve said we would do. Roy Bhandari: Understanding marketplace and understanding the different markets is one aspect of it, but I think one of the areas that Tridel have really excelled in, you speak to anybody in the industry, one of the areas that you continue to excel at is customer service when the condominium is complete and hand over date. And that’s an area that you obviously spend a lot of time and focus and energy on. Jim Ritchie: It’s a very, very important part of the process. It’s probably one of the more demanding areas and not everybody wants to put the amount of time and money that we do, but we really believe that the customer experience is something that you put at the forefront and that in time, that pays dividends to us as an organization. But if we keep our owners very happy, the purchasers, our owners, and even our friends in the real estate brokerage community who send us their clients, it works best for everybody. There’s no other way to do it in our mind but to try and to deliver the best possible service. More and more … we’re not the only ones, obviously in our industry that believe that, but we think that we’ve had a bit of a track record that goes beyond what most have done or have experienced and that we’re going to continue to raise that bar when it comes to the customer experience. Roy Bhandari: And I don’t say it to pump your tires or anything, but obviously within the industry and within the buyers’ minds, you already have that reputation and that’s come from years and years and years of doing the right thing, as you said. That’s really great. Jim Ritchie: I think anybody in this business can make mistakes. We had an opportunity to make those mistakes in the 60s and 70s and whatnot and fine tune and we think that we’ve got a pretty good, compelling product in today’s marketplace. Roy Bhandari: Awesome. So I want to transition and talk now about East Bayfront. East Bayfront, for myself and my brother and the Talk Condo team has been an area that we’ve really watched grow and blossom from, it was only five or six years ago that it was essentially a pile of dirt. Jim Ritchie: And some warehousing. Jim Ritchie: Nothing too attractive. Roy Bhandari: And it’s been amazing to watch it turn into these amazing public spaces with amazing architecture and amazing buildings and amazing residences and commercial buildings and all of these things are starting to come together and it’s been amazing to watch it grow. 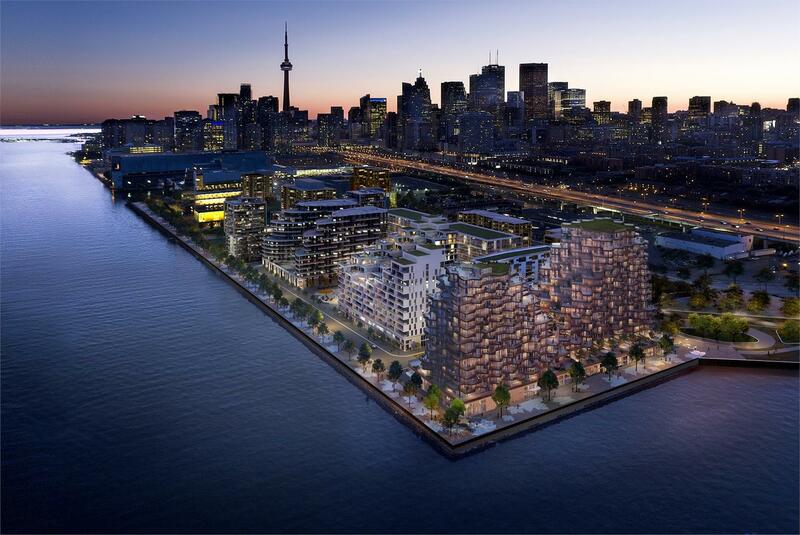 I know you’ve been involved with Waterfront Toronto from a very early stage of this, of the East Bayfront as a whole. Jim Ritchie: Five or six years ago. Roy Bhandari: Yeah. And one of the important things for us that we’ve identified as been a key reason why this neighborhood has been success has been the pre-planning master plan that was put in place. So it wasn’t just residential, residential, residential, residential. It was here’s where the residential will go, here’s where the retail will go, here’s a very specific retail strategy. Here’s where the commercial will go. Here’s where the public spaces will go. And all of these pieces are coming together to create this amazing community. Jim Ritchie: Sure. There’s a couple things in there. 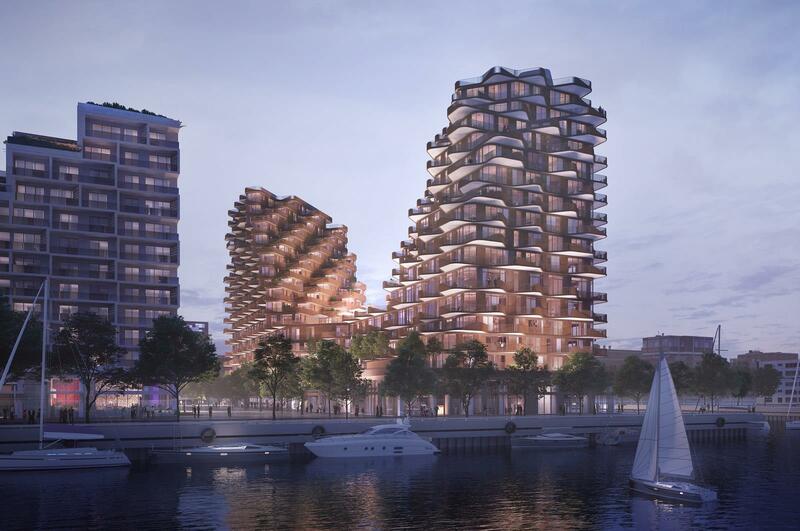 First of all, Waterfront Toronto has a great strategic plan overall for the waterfront and there are components that they wanted a successful development and a successful development team to adhere to. So there’s a lot of kudos, that first and foremost goes to Waterfront Toronto. Jim Ritchie: Secondly, we have an amazing development partner, an organization of the US called Hines, which is the master developer for this precinct. And we’re their exclusive residential partner. So you’re right, there was a lot of pre-planning and a lot of thought that went into what will be the picture down the road. And we’re starting to see the benefits of that in a reasonably short period of time. Jim Ritchie: We did look at place making. Obviously, excellence in architecture. Sustainability. What can we do with the community? What can we do with affordable housing? All these various components that come together to make it a place where people really want to come and to enjoy, whether they live here or whether they’re visiting on the waterfront. But to be a real experience and something that’s appropriate for an amazing waterfront location in a great city like Toronto. Jim Ritchie: So Waterfront Toronto, obviously the City of Toronto, and Hines were very much a part of the solution to what we’re enjoying today. Roy Bhandari: I think it’s amazing. I think one of the big pieces of the puzzle is retail. I think having that clear retail strategy, correct me if I’m wrong, but my understanding is that every single building has to have a double height element of retail at the grade. Jim Ritchie: Yeah, we have retail at every single building, various sizes. They … I don’t know about double height, in some circumstances we may, but we have at least five meters for retail, which is more than enough in a variety of different applications. So having that retail is certainly part of the neighborhood that we will still pull together here at Bayside. Jim Ritchie: We’re on parks, we’re on waterfront or back onto Queens Quay, so there are a number of different opportunities that will allow for a really nice blend of different types of retailers. We’re very keen to get that started. Food service is a big part of it and that’ll be coming shortly. Roy Bhandari: And I think it’s going to have a huge impact on where this neighborhood moves forward. I mean we’ve already said we’ve come so far but I think the next three or four years are equally as exciting. Jim Ritchie: Well there’s not too many other locations in the city where you can have a retail experience right on the water. Jim Ritchie: We’re going to take advantage of that. Roy Bhandari: More desirable, yeah. Jim Ritchie: [crosstalk 00:10:42] love that product. Roy Bhandari: It’s very special. Jim Ritchie: … in a very urban environment, with a very short walk to the core of the city. So I agree with you completely that we see that. We’ve experienced that. So we’ve had a few years here on the waterfront. Lessons learned that provided us with market intelligence that told us that there is a demand for larger condominium homes and if you can put that together with outdoor space and marry that together, you might have something very special. Jim Ritchie: Our very first building, Aqualina, which is now completed and occupied, we did push the envelope at that time in the marketplace in terms of size and sold successfully. But we didn’t have as much outdoor space. So in the next building, which we launched very shortly after Lina, and is now under construction, Aquavista, we tried to continue with that trend. More views towards the water, but introduce more outdoor space. We were very successful in selling that component. 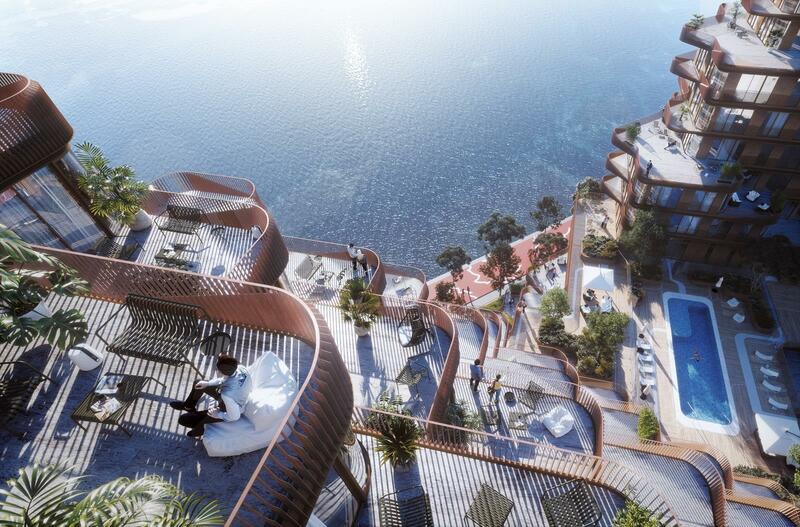 The third building, Aquabella, we pushed that envelope even further. Tried to create larger outdoor spaces, more outdoor space, and obviously more viewlines to the water and we did quite well with that. Jim Ritchie: So in each and every circumstance where we brought out new product, we increased sizes and we tried to, as much as possible, increase exposure that can be combined with outdoor living space. 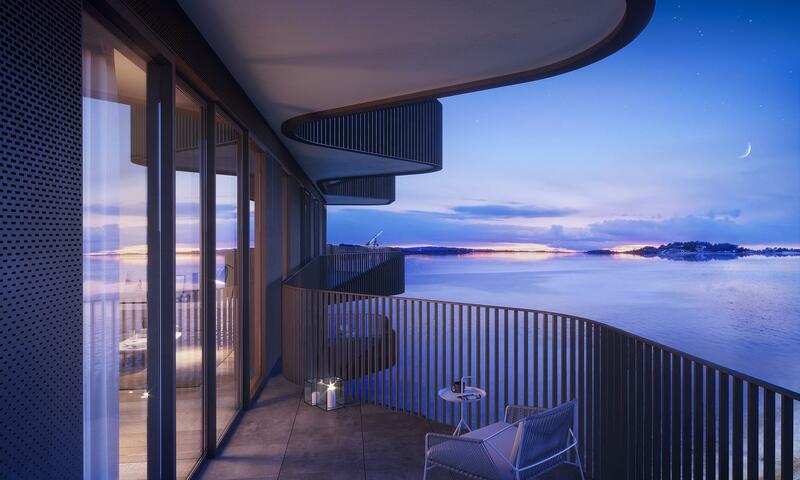 Jim Ritchie: So that brings us to Aqualuna, which we’ve been able to pull all that together in a very, very special way architecturally. Which we’re extremely happy with and be very proud to bring to the marketplace in its existing form. Roy Bhandari: I think you should be. I mean the architect team 3XN, one of the top architect firms in the world, based out of Denmark. I would love to hear how they got involved with the projects. I think they’ve done an incredible job with this one and Aquabella. Jim Ritchie: I’m going to agree with you on that one. So, you’re right, 3XN is from Copenhagen, they’re based in Copenhagen. They have commissions all over the world. We met with them five, six years ago. We just happened to be visiting in Copenhagen at an architectural tour and there was an immediate connection with this particular group. And we had wanted to find an opportunity where they could do what they do best but do it here in Toronto and do it on the waterfront. 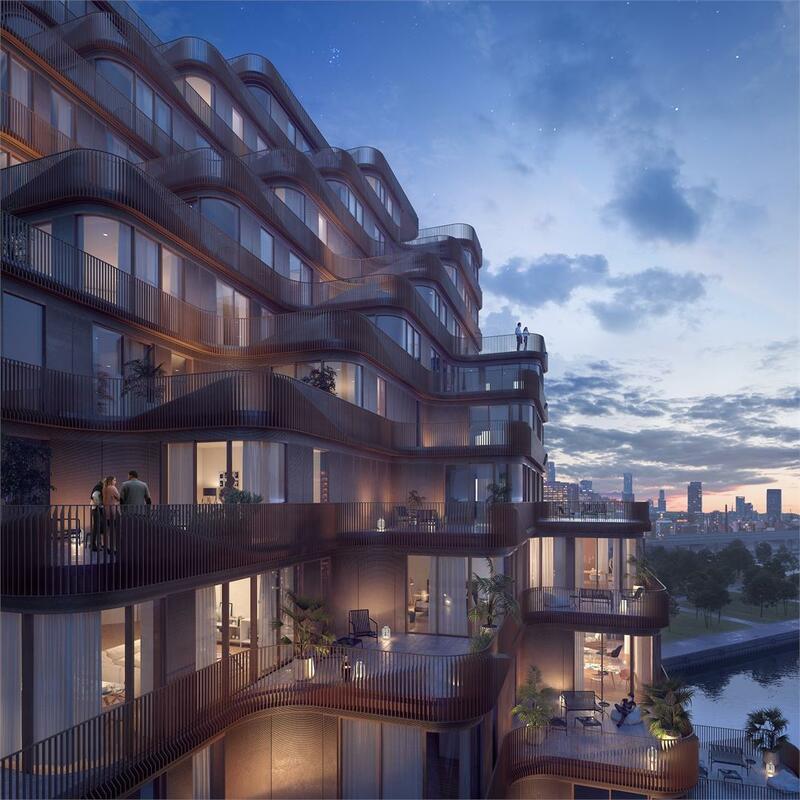 So with each phase in Bayside, together with Hines, we held a design competition and they actually participated that on the second building. But we didn’t select them, simply because what they brought to the marketplace, inasmuch as we loved it from an aesthetic realm, it went beyond the boundaries what the city or Waterfront might approve in terms of where it was in terms of a park and height, etc. Jim Ritchie: So they came on the Third Phase, again we invited them at another competition and they blew us away with what they had, and it’s been with them ever since. So they won that competition. Phase Three and they won the Fourth Phase. So we’re delighted with that organization. They understand our needs. They study every nuance from an architectural perspective and other perspectives so that all elements are being considered, just in terms of the layouts, the relationship to the building, to obviously to people, to the retail, to the residential components to what we’re looking for, materials, you name it. So it’s been a great relationship that way. Jim Ritchie: That was part of their mandate. They did an incredible job with a number of different studies so that we could maximize that. But the building also became a good neighbor. So not only do the homeowners in this particular building get great viewlines, it allows for developments surrounding the building also to take advantage of that, too. Roy Bhandari: I think it’s really important to focus, it’s an important point because these things take so much time and energy to figure out and you do need that world class architect to be able to pull that off. Jim Ritchie: I think they accomplished that. You’ll notice that in this building there’s a lot of waves. Jim Ritchie: So the balconies themselves and other elements architecturally, even some of the glazing components. And that all started off with a vision from the architect that, just in terms of Lake Ontario and the waves that it creates, in fact that’s even the relationship with the name, with Luna, which of course refers to the moon, and the moon affects the water and the waves. So it’s all tied in together in some sort of way. Roy Bhandari: Interesting. Very nice. Jim Ritchie: So that’s, you can see the prominent architectural essence throughout that building. There’s all these curves and these little waves that were designed into it. So an awful lot of thought went into it. Roy Bhandari: Very good. Talk to us a little bit about the, we mentioned sort of the maturity of the building. Talk to us a little bit about the suite sizes and what to expect in the range. Roy Bhandari: With a lot of outdoor space as well. Jim Ritchie: With a lot of outdoor space connected to it. So in the Aquabella building, we had a tremendous activity in product that was between 1,500 and the low 2,000s. So we made sure that we were able to duplicate that with Aqualuna and in fact even pushed the boundaries a little bit in terms of size and product, simply because of what you mentioned earlier, we get people from Yorkville making choices. This might be an alternative to that lifestyle and we need to provide, just to match up with that type of buyer, we better have the right finishes, we better have the right size. We know we’ve got the location. And architecturally, I think we pushed the boundaries so that what we have an offering here would look amazing in any setting, but it just seems to work really well with water. Roy Bhandari: With the water. You mentioned suite finishes. What can buyers expect with the suite finishes? Jim Ritchie: Well you can see some of it here. Obviously great choice in just about every types of finishes. I mean we can get into product lines with Miele and whatnot, but it’s all aligned with what is appropriate for the prices that in this offering will be from a million and a half to upwards of nine million dollars. Roy Bhandari: Excellent. Excellent. So I think that about wraps up all the key points I wanted to talk about. We talked about Tridel as a company, we talked about the amazing redevelopment of East Bayfront and just how much more is to come over the next few years, we highlighted Bayside. We talked about Aqualuna. Is there anything that I didn’t mention that you think is important to mention? Jim Ritchie: You were pretty thorough. We got everything checked off. I think we’re there. Jim Ritchie: I think overall, we’ve got a pretty compelling offering. Roy Bhandari: I think so too. Jim Ritchie: And it’s only going to get better as the years go by. Roy Bhandari: For sure. Great. Thank you very much. I appreciate your time. Thank you very much.